This journey started with a chicken coop and three Rhode Island Red hens given to us for Christmas one year. We loved going out to the coop every day to collect the fresh eggs. We knew exactly what our chickens were eating and that they were happy to be cage free and free ranging. We soon fell in love with them and found they all have their own personalities which led to each one being named. The benefit of the farm fresh eggs excited us and led us to the desire to become more self sufficient. So we started researching into growing our homestead. We found that a dairy goat would be the next perfect fit and this led us to the Nigerian Dwarf Goat. Compared to the larger dairy goats that can weigh as much as 130 lbs the Nigerian Dwarf Goats only weigh up to 75 lbs and are known for their high milk production. Plus there are many health benefits of drinking goat milk vs cow milk. Goat milk is high in calcium, it's chemical makeup is close to human milk making it easier to digest and it's lower in fat but still high in protein. While cow’s milk has about seventeen percent fatty acids, goat’s milk averages thirty five percent fatty acids making it more nutritionally wholesome. Some people with lactose intolerance to cow’s milk find that they can easily digest goat’s milk, especially if it is raw. Goat milk is also naturally homogenized and we are able to do our own pasteurization at home. Being able to milk our own goats, we would know where our milk was coming from, what our goats were eating and that we were drinking milk that was better for us. Getting goats was be a big venture and we built our own barn and put up a fortress of fencing. Our herd of goats started with a little runt we named Dixie. Shortly after we brought home her sister Savannah and eventually her dam Serendipity and half sister Namaste. Since then our goat herd has grown and our Nigerian Dwarf Goats have not only won over our hearts but also our dogs hearts. The dogs constantly want to go to the barnyard to hang out and play with their hooved buddies. But the benefits of having our own dairy goats goes well beyond just drinking the milk. Using the milk we have made everything from yogurt, to cheese, to ice cream and best of all, goat milk soap! So where did the name Guardians Farm come from? Both of us are police canine officers and there is a poem about police dogs called "Guardians of the Night". Our police dogs are our guardians at work and while at home. One of our police dogs Chase, was a one of a kind dog and we had an unbreakable bond with him. In 2013 he was forced to retire and live out his days relaxing at home. We named our farm Guardians Farm in honor of the heroes our dogs are. In November 2014 we lost Chase and the name of the farm was never more fitting now that we have a Guardian watching down on us. Our dogs, especially Chase and our other police dogs Anouke and TJ, are our lives. We now have six dogs and all have taken on the roles of Guardians at our farm. This role is extremely important because we have spotted bobcat, coyotes and foxes around the property. On one occasion two of the dogs chased off a fox who was lurking outside the fence eyeing up the chickens. Our rescue dog Roxie is a love. She was stuck at the pound in Easton for over six months. She quickly wiggled her way into our hearts and home. Anouke is the foundation of our dog pack. She has been a police dog since 2011 and loves going to work. She takes her role of guardian very seriously at home and no one will harm her goats. 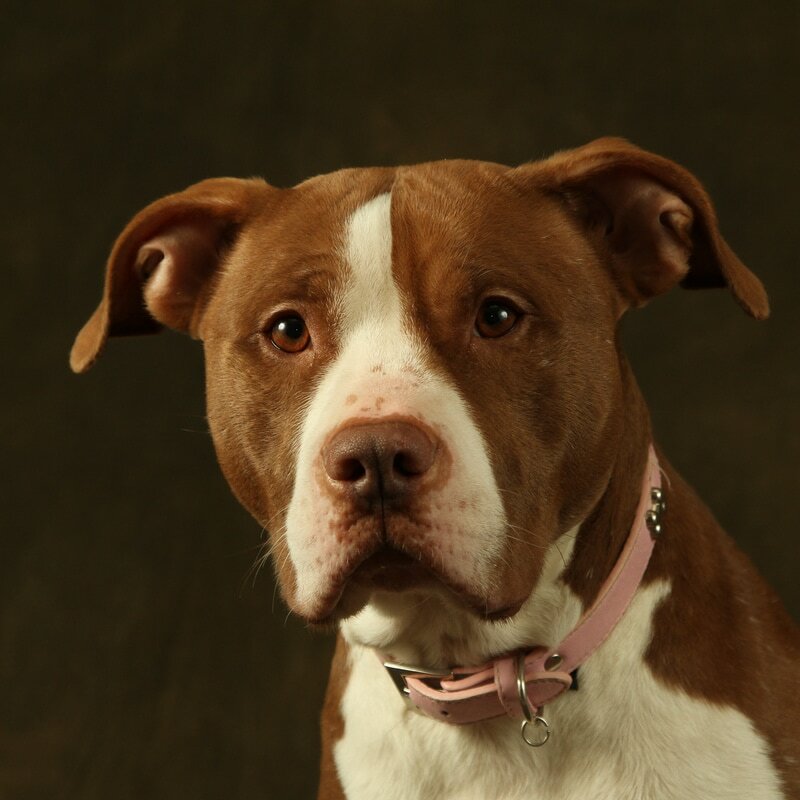 Sweet Shelby wants nothing more than to snuggle up on the couch or under the covers in bed. No matter how bad your day is Shelby can easily tuen it around. Aslan is currently in training to be one of our next police dogs. There's one word to describe him perfectly...crazy. He has endless energy and drive but with a great personality. Tribute has filled a huge void that was left when Angus passed. We named him Tribute as a tribute to Chase, Angus and Istas. He just wants to be where you are and loves meeting people and playing with the other dogs. We rescued Hankook from the parking lot of the Waterbury Mall were someone ran him over at only four weeks of age. He recovered phenomenally and we don't even think he knows he's a cat because he's always been around the dogs. TJ has been a wonderful addition to our family. Whether at work or at home he is ready for whatever is thrown at him.